Sept. 14, 2016, 1:49 p.m.
By Ken Doctor @kdoctor Sept. 14, 2016, 1:49 p.m.
What — if anything — would you pay to listen to your favorite podcast? As podcasters furiously pursue fast-growing ad money, many are looking — down the road — to listener payment as a secondary way to build their businesses. Listeners have already proven that their passion can Kickstart podcasts, with Radiotopia and its highly successful campaign to fund Roman Mars’ 99% Invisible a model. But few expect such campaigns to generate reliable, industry-wide funding. Rather, podcasters are now deploying a spectrum of tests, offering listeners back catalogs of their favorite shows, sneak peeks, and exclusive extras. At the same time, public radio stations noodle the elusive links between podcast listening and membership, and plan to work that newer frontier to grow revenue. Then there’s the big pure play. “We are allergic to advertising,” says Eric Nuzum. Nuzum is a well-known public radio alum who now drives Audible’s new subscription podcast Channels business, which came out of beta in July. The proposition is a simple one: listen to as many of Channels’ topical menus (“20 Minutes of Relaxation,” “Meow! For Cat Lovers,” “Front Row Comedy,”) podcasts for just $4.95 per month. Or, if you are already an Audible subscriber, you can get Channels for free. Expect other companies’ offerings to be priced below $10, which seems to be the magic price point in digital entertainment pricing. Here, of course, Audible uniquely works its big advantage: the “millions” (count not offered by the company) of Audible’s audiobook subscribers, a list built up over 21 years, and the many more who are Prime members. While anyone can subscribe simply to Channels, the Prime/audiobook/podcast bundle offers a unique deal; Amazon is angling for bundles that will benefit the larger company through multifaceted buying. Channels offers dozens of “channels.” Many podcasts found for free on the web can be found there from American Public Media’s Marketplace to CNET’s tech news to Radiotopia’s Criminal. Further, it offers updates from media, like The New York Times, The Wall Street Journal, USA Today, and Vox Media. And French lessons. And Reader’s Digest. Nuzum says Channels “is an HBO-like experience. Everything is best in its class.” That’s clearly aspirational positioning at its launch. Original content is meager at startup — aggregation is its current selling point — and Nuzum says we’ll be seeing more original content over time. We will hear much more about becoming the Netflix of spoken audio, or the HBO of spoken audio, but it’ll take larger and more sophisticated packages to build subscriber growth. In Channels launch, you hear a word you’re going to hear a lot more of in podcasting: “premium.” It’ll be consumers who define what’s really premium — worth paying for — and what’s not. Given its unique business positioning, Channels stands out among its 2016 product peers. Who could logically follow its lead, extending their own audio subscription businesses? It’s a short but impressive list. SiriusXM, Spotify, and Pandora each have built large subscription businesses, in talk and in music. Certainly, SiriusXM or Spotify, each claiming over 30 million subscribers, have subscription businesses they could grow; Spotify has recently ramped up the presentation of podcasts. Apple Music, which has just passed 11 million subscribers, could make a podcast subscription play as well, leveraging its current role as a benign iTunes/app middleman. Each has seen its share of stumbles and successes with advertising, and each sees significant challenges to their core businesses. Will the timing be right in 2017 — or is the opportunity still too small? None of these companies so far has yet indicated that they may follow Audible’s lead, and none will likely do so until they think podcasting can deliver substantial new revenues. Lots of people are watching Channels. Channels offers a hard paywall — with a 30-minute free sampling period. That limitation on sampling could well hinder its shows’ adoption, much as hard newspaper paywalls throttled some digital news audience growth. extras, in the form of extra episodes, or the kind of context that DVDs offers movie lovers. “What we’ve found is many listeners are very happy to pay for the podcasts they follow and like if they supply you with an extra episode or other deeper content — or, for instance, being able to binge-listen to all the episodes at once if you pay,” he says. In the U.K., Acast’s popular podcast The Football Ramble is free weekly, but offers a paid special program monthly. Midroll Media pursues the back catalog idea with Howl, a $4.99 a month offers 150 hours of ad-free archives from programs like WTF with Marc Maron, original limited-run audio series, and dozens of comedy albums. It is the comedy archives that forms this value proposition. Midroll’s chief revenue officer Lex Friedman says he’s satisfied so far with the subscription numbers, but acknowledges that they’re small so far. Wondery is experimenting with providing early access to episodes. Which way will this subscription business go, Audible’s all-you-can-eat model or these various niches, or both? Bet on the latter for now. Audible’s first-mover advantage will only work if can convince consumers it has a critical mass of their most wanted podcasts. Such subscription strategies face a daunting reality of the digital subscription age: Consumers expect a lot, at a low price point — and they are likeliest to choose single suppliers of paid services. They may opt for a Netflix for movies, and maybe an Amazon or a Hulu. They’ll pay for, at most, one or two sources. Perhaps, the podcasting business will be different, with more of us choosing to subscribe to multiple services. If not, though, only the biggest — and the best — podcast networks, featuring both distinctive original content (à la the latest iterations of Netflix and Hulu, for example) and big catalogs of diverse programming — may found a big, sustainable subscription business. So, yes, the “premium content” mantra may make sense, but the offering has got to be sufficient, and probably broad. There aren’t premium podcast offerings today to match the premium TV (or “TV”) shows of today, like HBO’s Game of Thrones, Netflix’s Orange is the New Black, or Amazon’s Transparent. Channels isn’t there yet, as a standalone product, and neither is anyone else. There’s one other big complication to subscription here. Many of the most popular podcasts double as shows syndicated — free to listeners — across public radio. This American Life could be a House of Cards, but subscribers are unlikely to pay for something they can for free on radio. In addition, let’s remember that the business of digital subscriptions — overall — is still a fairly new phenomenon. Ten years ago, nearly all news, information, music and moves still proclaimed their wild child spirit to be free. From five-year-old newspaper paywall models to Netflix’s stunning success as a movie and TV aggregator, consumers’ willingness to pay has now been proven out. As podcasting steps gingerly into this subscription game, it will draw lessons from video — and could even decide to bundle with it. Video-on-demand finds the cable and satellite companies trying to hold on to their dominance. They face off against the à la cartes Netflix and Hulu and the one-of-a-kind Amazon bundle. That whole business is unsettled, and it’s unclear how much unbundling and rebundling we’ll see in the next couple of years. Podcast bundles could well join those video bundles, or develop on a parallel path, as Audible would hope. 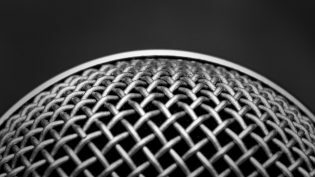 Crowdfunding offers still another route to listeners’ wallets and it is one that’s gotten a little traction in podcasting. “When we started [PRX’s] Radiotopia Network, crowdfunding plus sponsorship were just getting trickles of support, and they’ve both transformed into major sources of sustainable revenue for producers,” says PRX cofounder Jake Shapiro. For all those reasons, Radiotopia — which offers 14 shows and will add a 15th soon — now plans an annual crowdfunding campaign, to support innovative programming, with its next one scheduled in October. For big podcast-producing stations like WNYC and WBUR, the trick here is how to associate the new and expanding value of podcasts with membership. That can help with both retention of current members and acquisition of new ones. For the great bulk of stations that don’t produce their own shows, that question is less clear. If they make a point of presenting a wealth of public radio podcasts via their own apps and sites, might they enjoy a halo effect on their own membership performance? We can see that strategy in place at Oregon Public Broadcasting. The statewide public media operation just deployed a licensed version of the WNYC Discover app. OPB, which offers a new wine and food podcast to go existing programming, is testing new value creation with that deployment. Public media isn’t the only medium thinking about podcast bundling. The New York Times — with its reader-revenue strategy present in almost all its initiatives — sees its new podcasting foray as potentially part of its subscription bundle. Times subscribers could get early access or older shows, again as a way of proving out more value. Membership — an often-vague concept — is also in the early stages of being defined by Gimlet Media, which so far has mounted six shows and has plans for four more this year. At $60 a year, “it’s a membership program that is a small but material amount of revenue for us and I think could become a larger part of the future of the business,” says Gimlet president Matt Lieber. “It’s an important community for us.” Members get early access to episodes, among other benefits. Lastly, there’s still one more way podcasters seek revenue beyond advertising. Shows ranging from NPR’s Wait, Wait, Don’t Tell Me to The Moth to many hosted by comedians all bring in event revenues through ticket sales. For the comedy-oriented companies, the money is real, if still small. For public media companies, such event strategies can double down as both engagement and money-making strategies. WNYC’s Greene Space and KPCC’s Crawford Family Forum are two leading homes of events based on such an approach. Podcast/event combos offer lots of opportunity. In addition, the comedians sell merchandise — a business long ago leveraged by Minnesota Public Radio impresario Bill Kling. Kling built a big catalog business on the popularity of Garrison Keillor’s A Prairie Home Companion, though much of public radio hasn’t yet added that line into its “podcast” business thinking. Today, we don’t see urgency around listener revenue. That’s a marked contrast to the print-based world. There, “reader revenue” is the cry heard from New York’s Times to London’s Financial Times, with regional newspapers looking for ways to juice up their digital reader revenue. 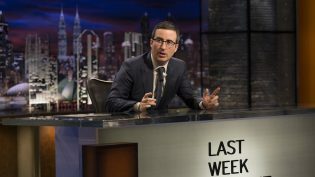 HBO comedian John Oliver, himself a podcast veteran, recently brought new focus to that reader revenue imperative. In the podcasting trade now, though, such concern seems ill-timed. Podcasters, Audible aside, see the near-term money in higher-rate advertising, money that can sidestep the Facebook/Google digital ad duopoly. For now, listener revenue remains a secondary pursuit. Tomorrow in Part Four: How new waves of tech will change podcast measurability and discoverability. 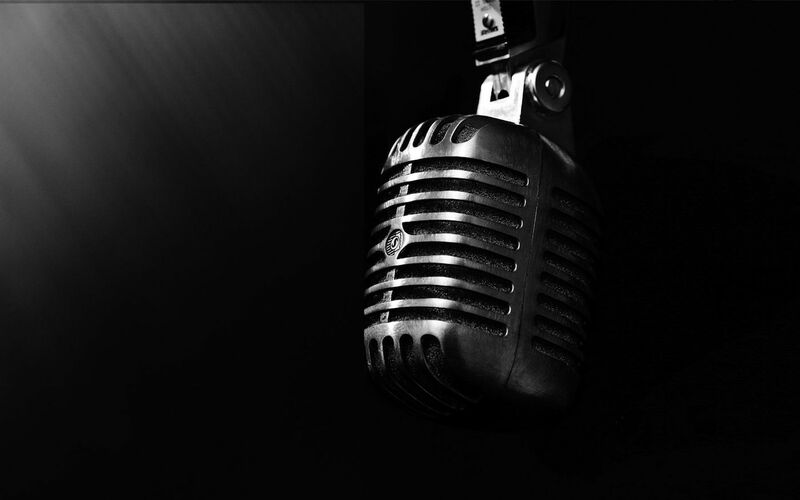 Photo of a microphone by drestwn used under a Creative Commons license. POSTED Sept. 14, 2016, 1:49 p.m. Doctor, Ken. "Are you ready to pay for a Netflix for podcasts?." Nieman Journalism Lab. Nieman Foundation for Journalism at Harvard, 14 Sep. 2016. Web. 19 Apr. 2019. Doctor, Ken. "Are you ready to pay for a Netflix for podcasts?." Nieman Journalism Lab. Last modified September 14, 2016. Accessed April 19, 2019. https://www.niemanlab.org/2016/09/are-you-ready-to-pay-for-a-netflix-for-podcasts/. | title = Are you ready to pay for a Netflix for podcasts?